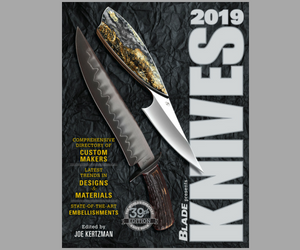 Check out the latest in custom, factory, antique and other knives at the SHARP Show and Ohio Classic Knife Show this weekend. Held at the Fern Valley Inn in Louisville, Kentucky, the SHARP Show will be Oct. 20-22. It is sanctioned by the National Knife Collectors Association. For more information call 423-238-6753, e-mail spiritofsteel@ymail.com or visit www.spiritofsteel.com. The Ohio Classic will be conducted Oct. 21-22 in the Pritchard-Laughlin Civic Center in Cambridge, Ohio. Call L.T. Wright at 740-219-1141, e-mail bhkship@yahoo.com or aliciabhk@yahoo.com, or visit www.ohioknifeshow.com or www.bhkoutdoors.com.